Powder Colour Tints are made from 100% high-quality iron oxide, chrome oxide and titanium dioxide pigments. All of the powder tints are lightfast which means they will not fade from exposure to ultraviolet rays. Where to use Powder Tints? 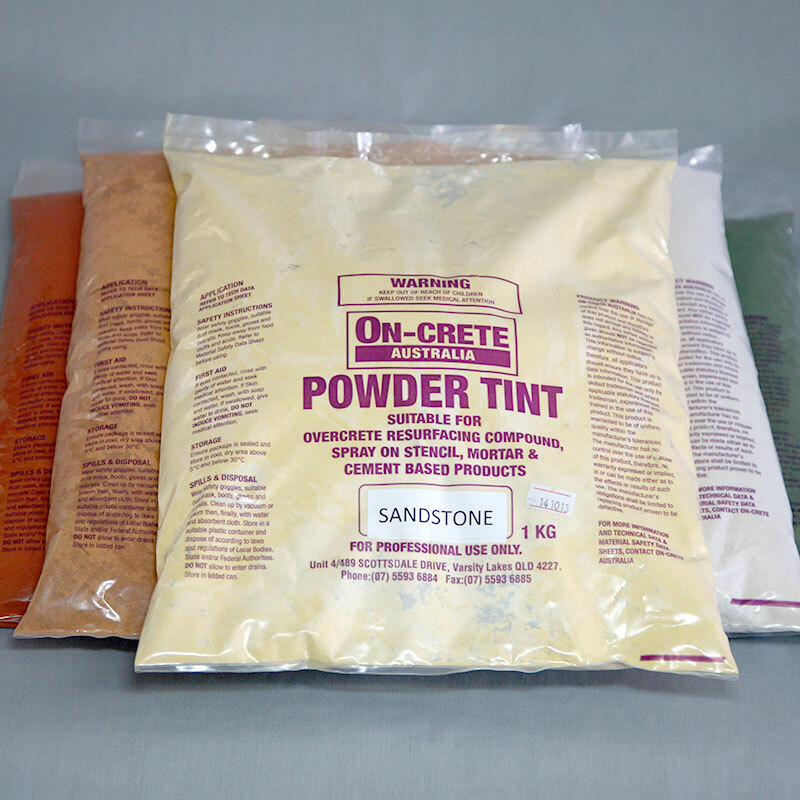 On-Crete's Powder Tints are mainly used in the Overcrete Resurfacing System. One bag of Powder Tint is usually added to one bag of Overcrete Resurfacing Compound when mixed with water and Cement Activator to achieve the desired colour.